The 2019 NBA trade deadline may be the most calamitous one in the history of the sport. It rivals most legendary MLB trade deadlines, which used to be the biggest one in all of sports. It seems some players aren’t keen on the chaos that’s ensued, Kevin Durant being one of them. 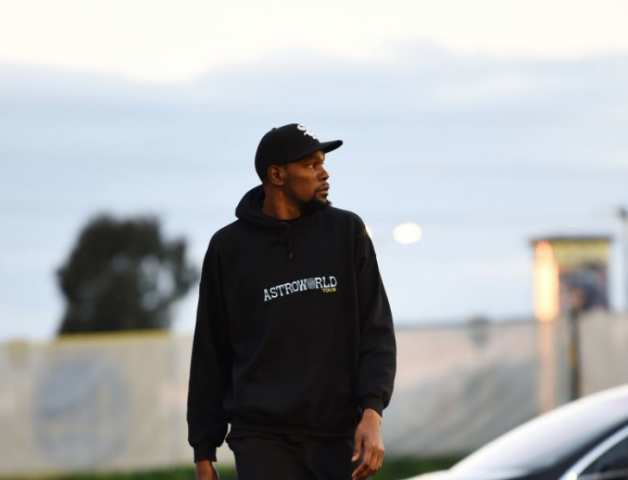 The Golden State Warriors wing aired his grievances after Wednesday’s game, laying into The Athletic’s Ethan Strauss, among others. Durant also made his case that he’s focused on playing well and doing his job, alluding to the fact that’s what should be the topic of discussion in Northern California, not free agency. Yet, when one reporter asked him a question about how things were going on the court—albeit a lazy question—he walked off. Durant’s not wrong to be frustrated with the mess. Who wouldn’t be? However—and this seems to allude some athletes—if you address these situations and stick to a stock answer, then there’s very little room for questioning from reporters. Instead, some of these players leave an immense amount of room for speculation and discussion, which still isn’t a bad thing either. All the hype and discussion is part of why the NBA has blossomed into what it is. It may not always be fun for the players, but it puts a decent wad of cash in their pockets. And all the dark moments and incessant speculation are driven by the fans that adore these athletes. Sometimes these guys lose perspective, like anyone else. But if they took two seconds to look at the whole thing objectively, they’d see how none of this is bad and how it can be handled very easily. If they can’t see that, then they may want to consider a new profession, one that doesn’t pay millions of dollars for you to get a ball into a net.